Whether it’s for expanding your business or for a personal requirement, there can be various reasons to need quick loans. But, it is important to understand that every type of loan is different and you should only choose the one which best suits your needs. Short term loans can be the best solution when you are looking for a quick cash flow without setting yourself up for any kind of long-term debt commitment. Usually, short term loans are provided for small amounts, and their repayment schedule is also much smaller than standard loans. The issue with getting short term loans from banks It’s not just about getting a short term loan; it’s about getting a quick short term loan, which can be rather difficult if you approach a bank for it. Banks usually have a minimum loan amount, and you can’t go below that, and they also check your credit score to make sure if you are an eligible candidate for a loan. But, that is just a starting point. Getting a loan from a bank can take multiple weeks, and you might still not get approved. Most importantly, the rates for small personal and unsecured loans tend to be much higher than other types of loans. So while you might just be looking for a quick short term loan, you might end up waiting a long time for it and then pay much more than you planned to on interest rates. 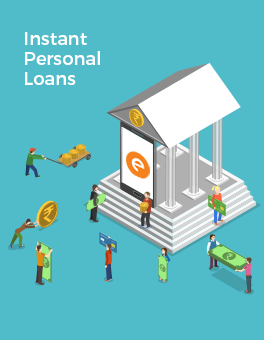 Instant short term loans – a great alternative Lending platforms like the CASHe loan app provide instant personal loans online, which means there is absolutely no excessive paperwork involved, and you can get a loan in less than 8 minutes, on an average. Unlike big banks, which have a complicated and yet, random loan approval procedure, CASHe uses an effective proprietary algorithm which uses your social network information and basic documentation to calculate social loan quotient (SLQ) and loan eligibility amount. The calculated data is then used to analyze the credit worthiness and to see if the candidate is eligible for a loan. The great part about this process is that it is completely automated, and you are only required to fill in your details and upload documents. All this can be done through your mobile phone, and it is extremely quick and easy. This means you don’t need to circle around bank managers in hopes of getting a loan approval. CASHe has been specially developed for millennials who often struggle with getting their loans approved, and that is why we focus on providing small loans ranging from INR 5,000 – 1,00,000, payable over a period of 15, 30, or 90 days. The interest rates are also less than or equal to the current credit card rates in the country. 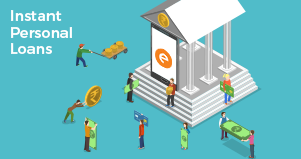 The takeaway Taking short term loans should be a quick and easy process, which a bank might not be able to provide, and that is where lending platforms like CASHe can prove to be extremely useful.